The question of the Overbrook Towne Center, request for rezoning, is back on the Sussex County Council’s agenda for this Tuesday, the 12th. Following all of the delays, will the developer, TD Rehoboth LLC, finally get an up or down vote from the Council? The other question is, will they take a vote, if the entire Council is not present? We have to remember, Councilman Sam Wilson is still recovering from a recent stroke, and though he has attended several meetings since, he may not be present on Tuesday, and he has been an unintentional reason why, the Overbrook project has had to wait, so long for a vote. Also, the council could, for any reason, decide to remove it from the agenda, or during the meeting, a council person could ask for a delay, due to some question they have, which they want to research. The reason I am skeptical, is because, I have gotten the sense, from speaking with several members of the council, and from hearing interviews, the vote might be closer than one might expect. That is, if you actually believed what some of them have said in the past about property rights. You see, when I hear people use qualifiers when speaking, it makes me think they are propping open their escape hatch. When an elected official ran as a property rights candidate, and as a letter of the law candidate, but qualifies his statements on Overbrook Towne Center, by saying, “Everybody has property rights, this includes the people around the proposed project.” Well personally, I don’t see that person as either a property rights, or letter of the law, elected official. The opposition to the project has brought out the same old saws, “traffic will increase”. “The environment will be negatively impacted”. “Local small businesses will suffer”. And specifically there is a farmer whose land was not bought by the developer, who will have to adjust the way he does things, if the project is approved and completed. So certain council people have glommed onto this idea, to give them a reason to vote no. I’m sorry, but I do not believe, one farmer, and some people who moved here themselves, and destroyed an agricultural area, are reason enough to deny a project, which has the potential to create thousands of jobs and related commerce. Simply because a few people will have to adjust how they do things? Well let me tell you, I came home one night and discovered, the county had dug a four-foot wide, two-foot deep ditch, across the front of my property, they didn’t hold public hearings, and they sure don’t care how much it inconveniences me when I cut grass. There is no guarantee anywhere in our governing process, which guarantees, our lives won’t change. That’s why it’s called life. The farmer will still have all the same rights they had before, the same rights as did the person who sold the land to the developer, nobody’s rights will be affected. What will happen, is the farmer will adjust the way he farms, or he can make other decisions with his land, within the letter of the law, the same as everyone else. So we will have to wait and see if the Council will do their jobs and give the project a fair up or down vote. Or will they kick the can down the road, actually the more likely option. That way, they can delay it past the elections, and the lame duck Council can vote on it. Meaning either the council member has won another term and will be forgiven before another cycle, or they lost and it doesn’t matter, or their seat was safe until the next cycle and will be forgiven. Because if they don’t vote on it before the year’s end, and new members are sworn in, the new members could not vote on the approval. There are three seats up for election this cycle. That means potentially three new members, not likely, but possible. But we know Joan Deaver is not running, so that is one guaranteed new member. Sam Wilson’s health calls his seat into question. And also Mike Vincent is up for re-election. There is a real possibility, TD Rehoboth may lose, or be forced to start over, or simply build it somewhere else. I just can’t understand why, when we have four Republican votes on council, why there has been so much hemming and hawing. Why is this Council, so reluctant to approve this project? 41 Comments on "Overbrook Towne Center, On The Agenda"
Because they understand that there are issues that you either dismiss, deny, or unaware of. There will be unintended consequences should OTC be approved. All property owners have rights. Those rights can and should be constrained when it affects the community in whole or other individual property owners. The people in Payter’s Mill oppose the project, although I can’t fathom why, since it is my understanding that the developer will have to construct a new intersection at Cave Neck and Coastal- an intersection that right now is quite dangerous. What is really ridiculous is the opposition from Lewes residents. The only time they’ll even see the mall is when they’re heading up to 16 to go visit Washington. I used to live in Highland Acres, a small development behind Shields and the old high school (Sussex Dr.) in Lewes. Behind the back yard was a large, wild field, with deer, foxes, a small creek and so on, all the way to New Rd. I used to take my son on walks through that field. Now, it is nothing but wall-to-wall houses (Pilottown Village). Yet, most of the houses there have signs in the front yard- “Save the Fourth Street Forest.” I guess they feel that once they are comfortably ensconced, it’s time to bar the door. They are frauds. It’s okay to develop every square foot of downtown Lewes, but not a cornfield on a highway five miles out of town. We definitely don’t have the infrastructure for this type of expansion thanks in part to the short sightedness of previous council members and developers. What about the problem of putting this type of mega retail development miles out of town ,creating a gap between the new commercial area and the existing commercial area? It just means that the traffic snarl will begin that much sooner before you reach town, because once the Overbook Town Center goes in, you can bet your bottom dollar that the gap between the retail areas will be filled with new commercial development until that gap is filled. It’s not a natural progression and expansion of development outward from town. It would normally take many years or even decades for this type of retail development to reach that far out of town. That’s the way of the world . The people who get there first make the laws and regulations to protect their interests, and that’s how it’s always been. Rick I used to live in the same development. I know what you are talking about. 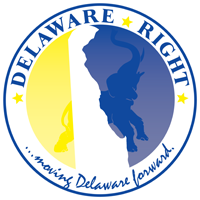 Retired Transplants wanted to come to Delaware to pay lower taxes. However the retired population that have moved here, created the traffic conjested highways and housing boom. They aren’t working so there is insufficient tax revenue other than paying property tax in which they are getting a reduction due to their age and consumer goods. Working class people who pay wage taxes that contribute to the state’s budget paying for all the services the retired community wants need to some where to work. This project would bring needed jobs to Sussex County. I can’t see where this project going hurt anything n/o Lewes on the dual. If a property owner wants to do this (life long resident) and it’s legal, people need to quit complaining when it is the very same people who moved here creating Eastern Sussex into a tourist destination. In 1975, we had a population of somewhere just shy of 80,000 in Sussex County. I think we had exactly the same number of Fire Companies, State Police Troops, Ambulance Services, Post Offices and Hospitals as we do today back in 1975. The developer has agreed to make improvments, which is a lot more reliable than DELDOT. It would normally take many years or even decades for this type of retail development to reach that far out of town. I don’t know what “town” you’re talking about, but I’ll assume it’s Lewes. The new mall wouldn’t be much farther from the Lewes town limits than Lowe’s, and that’s been there for over ten years. So is an ever-increasing population and shopping malls. Rick, the developer agreed to fund about 50% of the improvement needed at Cave Neck Road. You are going to have to pay the for the rest of it. Haven’t you been following this at all? Here is a update for you. We have increased the funding and expansion of social services by a lot! fire, police, housing, yada yada. We have not put the same effort into other things. It is up to referendum vote or the county council what happens next. Maybe you could point to a location closer to Lewes which would be better suited, and try to pick one with 100+ acres, for the same cost? The land in question is within the long term growth plan, which anti-development types fought for. It’s where it’s supposed to be. Now wait a minute, those opposed have made the case, that this town center would bring x-number of cars to the area, but that also means that those cars will being stopping at the mall. And while, even if the commercial sector expanded, that simply means that there would be more places for the people to get off the road and let traffic die-down, so possibly fewer cars on the road at one time, even if the total were to increase. Right now everyone stays on the highway because there is no reason to get off before reaching Lewes or Rehoboth, so Rick if you wonder why people in Lewes are fighting it, check to see where the real opposition is coming from $! This is somewhat true. Just for the Fire Companies, how many times do you go by your local VFC and see all the doors up, and all of the trucks gone? But let us assume you are correct, this would mean we need more firemen, police and all the other jobs you listed. I would add teachers and schools. But of course that is the trap of growth. You need these things because of growth, and you need growth to be able to pay for them. In the end it is a good thing. The natural order of things you might say. True Dave, but as we all know, because Sussex “Countians Against All Growth” (SCAAG), has been telling us how bad the Cave Neck Road intersection is, so if TD Rehoboth is denied, in about five years with or without the Towne Center, there will need to be an overpass at that intersection. Then the tax payers will be paying the bill 100%. And SCAAG will be screaming for it, for their safety. The overpass would also alleviate some of the traffic issues, and at the very least, make it a safer intersection. That is also true, to a point. Everyone has property rights. So tell me which right anyone in the area will lose if the OTC is approved? But let’s talk about the affect upon the community, and in this manner “community” means the county and the state, since both would be affected. In my view, the OTC will create jobs and revenue, for the county and the state, it is in a determined growth zone, it will save the tax payers state-wide, 50% off a road project that will need to be built at some point anyway, it will reduce traffic affects, on all motorist, which includes out of state drivers, encouraging more to come and spend. So I have to say Dave, I feel the overall affect for “ALL” citizens of Sussex County and Delaware are of a positive kind, and far outweighs the negative affect on the unfortunate few in the immediate surrounding area. Maybe they should have asked if they were building in a growth zone, maybe they shouldn’t have fought for the very law, which gives TD Rehoboth the right to develop their land how they see fit, as long as they meet the criteria and the letter of the law. The County Council is expected to vote accordingly, they are not expected to vote with their emotions. And finally, let me put the infrastructure argument to bed. Much in the same way, school districts cannot ask for a referendum unless they can show need. You wouldn’t want to build some huge school, and then not have enough students. Well Del DOT doesn’t build roads until there is a need. Why would you have built, a six-lane highway in the 1920’s? You wouldn’t, because there was no need. The same is true today, until there is a need, they can’t get the money, nor would I want Del DOT to be able to just start buying land and building roads not needed, in the hopes that someday we will need them, and doing all the upkeep on them until we do. The infrastructure argument is mean tot end the argument, because infrastructure will never outpace growth, nor should it. WP, as you know we don’t have referendum votes here for county issues, now would we want them. Then the eastern side of the county would have even more control on issues. But the Cave Neck intersection needs attention now. Would you rather pay 100% or 50%. Do the math. And the verdict is in: Council just voted to deny upzoning. The vote was 4-1, with Arlett being the only one in favor. His vote followed a highly rambling speech delivered without notes that included most everything under the sun. He somehow managed to mention duPont, Perdue, pristine beaches, transplants like himself, DNREC and DelDOT, blah, blah, blah. Very little of direct relevance to the property itself. That wildlife refuge should be taken over by patriots for the productive use of the people. Worked great in Oregon. And I was so looking forward to an Orange Julius. One question for all the proponents of the mall. How many times do you go to the Tanger Outlets which is in essence the same thing as the proposed mall only spread out ? The reason I ask is we’ve lived in Delaware for 10 years, we haven’t gone there once. Honi Soit, , Arlett also failed to mention he owns a resort real estate agency, while he was rambling. . There only one problem: There are NO federal highways anywhere. The Federal Highway Administration subsidizes roads, bridges and tunnels by turning funds over to state and local governments and by providing technical assistance. Route 1 is state-owned and state-maintained. As are about 90% of the roads in Delaware. Arlett doesn’t know this? Bill, your question about how many times anyone has gone to the outlets is meant to justify denying the project. But it is not County Council’s job to pick winners and losers. It is their job to approve or disapprove based in the letter of the law. But I can tell you, my wife and daughter and their friends go to the outlets frequently from the other side of the county, and would have gladly gone for the OTC. But I guess they will just have to continue to spend their money in Salisbury. Frank my question wasn’t meant as a means to justify the project. The converse side of this is the proponents claim build it and they will come. If the county isn’t supposed to decide winners and losers why are all the proponents claiming it was a winning proposition. I believe John Atkins proponent argument was 10 million travelers drive on RT 1 to see our treasures and they will stop at the mall if it’s built. I noticed that as well. And yet, he is making decision regarding the county. Of course, I’m still shaking my head about Sam Wilson. Did he know what he was voting for? Or was he persuaded by the impact to existing farms and was being true to his roots? As far as the others, I think all the “no” votes were a function of both business and residential concerns. There are a lot of existing business that would be impacted by such a center. I said on the other thread, if they had proposed this for western Sussex there would have been nary a peep of opposition. The county didn’t decide winners and losers. They decided a land use issue. That land can and will still be developed, within the existing zoning. Changing the zoning to suit the project would have been deciding winners and losers. Bill, the people are free to have their emotional views of the issue, but the Council is to vote according to the law. When the Council goes outside the letter, they are deciding winners and losers. It is not the Council’s job to decide if there is a need for another private enterprise, that is the risk developers take. Dave, you are right, it will be developed. More homes to bring more people , to oppose economic growth. A lot. And so do thousands of other people. You probably haven’t been to The Starboard, either. Or the Summer House. So what? Too many times. And now Monty is about to open a raw bar. Nice to see some better food coming to Dewey. Well for people who like raw bars at least, which is me. It seems like a lot people who live towards the northern border of SC rarely venture south. I’m always in Lewes, Rehoboth, or Dewey. I don’t have the shopping gene, so I’m not at the outlets very often, but I’m there enough that I can find my way around. Of course I have this fantastic department store right in my office. It’s called Amazon. I buy all kinds of crap from them and never have to leave my chair. I prefer to feel the material and try on clothes before I buy them. Sure, you can return items to Amazon, but that’s a bigger hassle than going to the outlets. True. I buy very few clothing items from Amazon, unless I know specifically what I want, including item numbers and sizes. So yeah, I hit outlets for clothing. I haven’t felt the need to get to a Target, JC Penney, Macys, et al for quite a long time. The occasional exception are trips to Wegmans, which is the only thing I miss from Northern Virginia. Yes. Tonite is $1 oyster night at JD Shuckers, but I’m partial to Henlopen City Oyster House. It’s more expensive but the quality is worth in my opinion. Really disappointed in HCOH lately……in fact, I think what passes for fine dining in general in the Rehoboth area has been on the decline since well before this past summer. Its like no one in the business really cares anymore (except for maybe Hari). Overbrook TS may have spawned a renewal of the fine shopping strip dining we once had…the likes of what Nage and PPP used to be and what Michy’s Relaxed and Touch of Italy are today. Come to think of it, Rehoboth Avenue is nothing more than a giant stripmall with no parking and an ocean at one end. You don’t find Fins, SummerHouse, Brouseabout, Lily’s, South Moon Under, Funland and so on at a strip mall. And I’ve never not been able to park in Rehoboth, for free after 5 from New Castle on down, although it usually involves a bit of a walk (big deal). And the ocean seems to be a pretty big draw. I’ll chalk your comment up to grumpiness. Although I’m lazy so I pay to park, which with Park Mobile is super easy. The whole resort area has many opportunities for both casual and fine dining, with new places coming all the time. Starboard is opening their raw bar very soon. The Dewey Beach Club (the old Port) has returned with upscale small plate dining. Chesapeake and Maine, Blue Moon, L’Amuse, et al. I really wouldn’t put the Parrot or Summerhouse in the fine dining category, but they are both good choices for less expensive dining. Many people look at the opportunities and think that their glass is half empty. Mine seems to always be half full. Now, off to Bacon Fest! Chesapeake and Main… I started to worry that I was going to have to put in a shift of dishwashing before it was all over. It was pretty good, but it comes at a price….wow! Smoke infused oysters on the half shell….Now that’s a James Beard Foundation Award waiting to happen. Ha, ha….don’t get out much do ya? “Really disappointed in HCOH lately……in fact, I think what passes for fine dining in general in the Rehoboth area has been on the decline since well before this past summer. Its like no one in the business really cares anymore (except for maybe Hari).” Is what I said. What I meant was, stalwarts in the Rehoboth dining scene such as Blue Moon, Espuma, Cultured Pearl, and yes even my beloved Back Porch have fallen significantly short of expectations as of late. So much so that some have fallen off of my list “go to” places that I refer foodie friends to. Hari was a clear reference to Hari Cameron, the chef-proprietor of a(MUSE) and a two time Beard nominee. The only one in Delaware for the last several years, by the way. I have always been blown away by any dish Hari has made at any restaurant he has worked for in the area (although I haven’t eaten at grandpa (MAC) yet). Shorebreak Lodge, Victoria’s, EDEN, even Cafe Azafran are still doing it for me.Fins is a fish house, they aren’t doing anything better than most any other urban fish house. I havent been to Bramble & Brine yet or Chesapeake and Maine, but I wouldnt buy anything at DFH except beer, so I may never venture there. Lewes has some up and commers plus The Buttery rarely disappoints anymore. Nectar blows the doors off any breakfast in the area. I haven’t been to Heirloom yet, but I’ve heard good things and coupled with their roots at Talula’s Garden I’m sure going to give them some of my hard earned dollars soon. You can keep Agave, but two thumbs up for Jay Caputo’s casual Rose and Crown. I know its been done before, but the “Best Damn Bacon Burger” there really is the best. Damn, I could do this all day, but lets not get all deluded and start misidentifying us as the “Culinary Coast.” There are plenty of coastal towns along the Atlantic, Pacific, and even gulf coasts that serve up an equally or more satisfying and consistent dining experience. I’d say we’re passable at best.